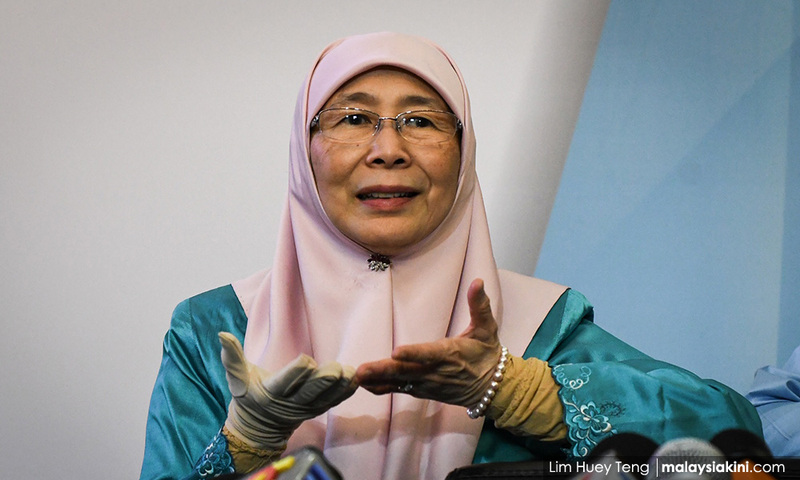 There is nothing wrong with a minister promoting a product by his or her respective ministry, said Deputy Prime Minister Dr Wan Azizah Wan Ismail, in defence of Youth and Sports Minister Syed Saddiq Abdul Rahman. The latter has come under fire from Hausboom founder Azri Zahier Azmia who attacked him on social media, claiming that Syed Saddiq had not kept his promise of sufficiently promoting a soft drink marketed by that company. Syed Saddiq had also gone on social media to promote a chocolate cake by the company Absolut Chocolat, allegedly linked to a Bersatu member. According to a report in The Star, Wan Azizah told reporters that Syed Saddiq’s intention was purely to help young entrepreneurs. “We promote products from our ministries as a way of providing support or to boost them. Even when I go overseas, I bring items like Malaysian handicraft because I want to promote Malaysia as a whole,” she told reporters after launching a daycare and training centre for special needs children. Syed Saddiq, in refuting the attacks by Azri, also said that he had brought the product into cabinet meetings and even met a businessman linked to tycoon Vincent Tan with a view to carrying the product in 7-Eleven convenience stores. Taking to Instagram, Tan's son Morvin said Syed Saddiq had indeed spoken to his father about promoting local products. The exact relationship between Hausboom and the Youth and Sports Ministry has yet to be clarified by either party.